Christmas is the festival of love, kindness, goodness, mercy and peace. It is celebrated with great affection and happiness all over the world. This festive season is all about decorating wreath, hearth, Christmas trees, welcoming chill in the atmosphere and carols that fill the air with inspiration or spirit. I am sure you all are all set to decorate your home to make it look all the more vibrating and cozy. Let’s start with some candy canes, nuts, a hot chocolate bar for this winter shivering month. 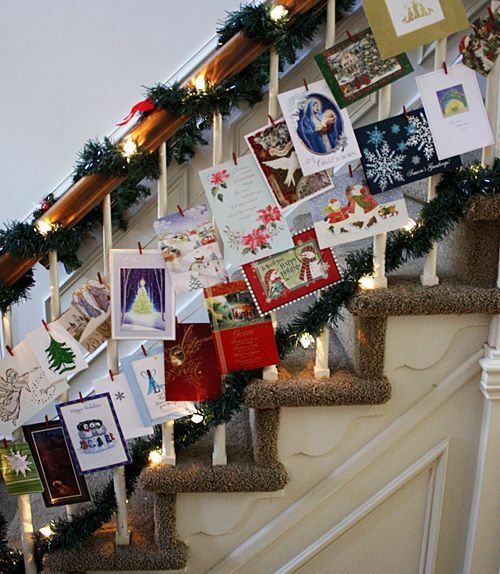 How about displaying all greeting cards in different styles and also use fake snow balls to decorate the interiors. Excited huh?! So why waste time? Start now! 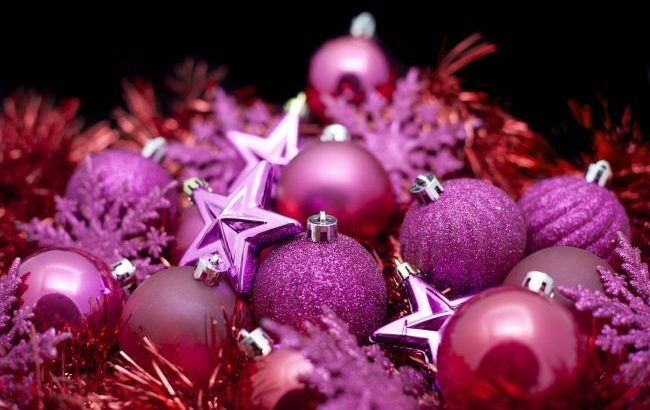 Here’s our list of home decorating ideas for this Christmas. Have you ever imagined its snowing inside the house? Absolutely NO! 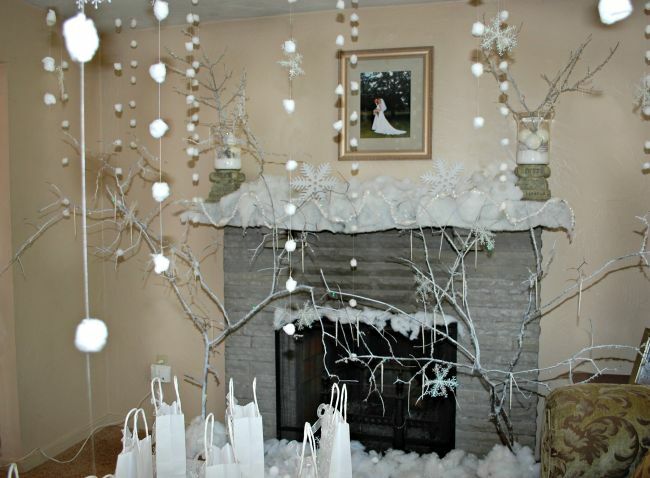 With this cool idea, you can visualize the picture of snow in your living room. Fantasizing from snow cotton balls will look super awesome. Simply hang them around the window or in the living room and they’ll look awesome. Styling the huge and tall Christmas tree provides pleasure to welcome the goodness. 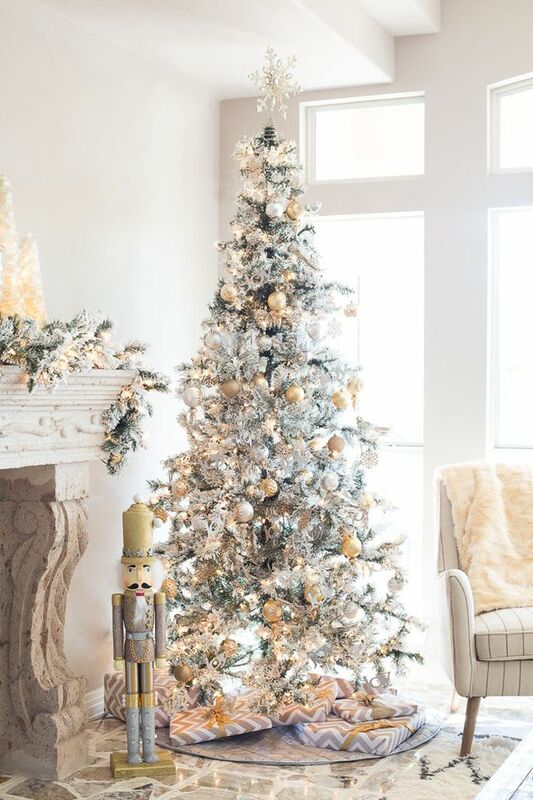 As it keeps alive the spirit of tradition, this elegant tree can also be the center icon of your home. So, decorate Christmas tree into a dreamlike fantasy. Wrap some gifts around, add some bells, lights, give it a touch with gold ornaments and silvery snow and that’s it. 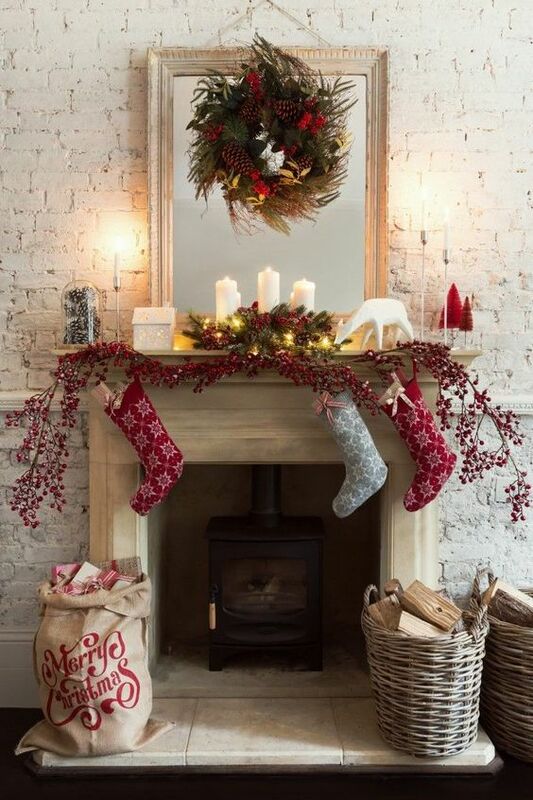 Decorate the fireplace, hang some festive stockings attached to the garland which is used as a decoration and wrap some presents inside the stockings. Use paint pen maker to make the snowflakes on the mirror, place the basket near the fireplace and you are done. 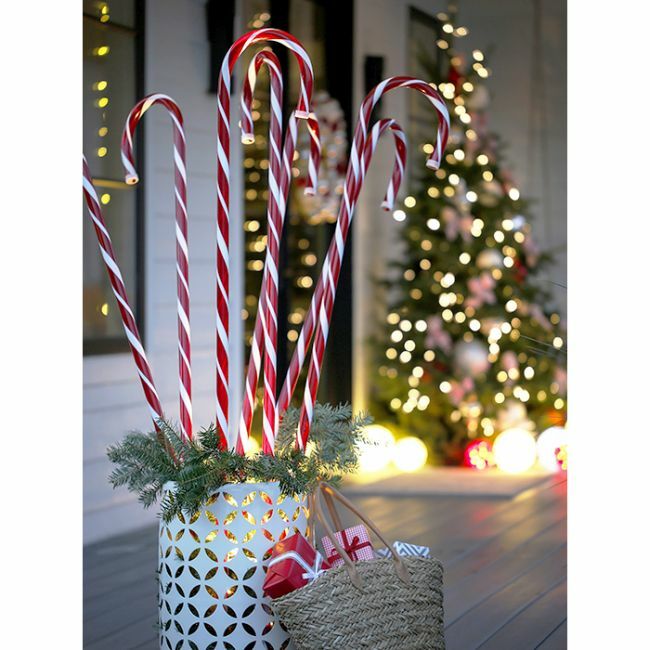 Candy canes are foremost the cutest and most important part of decorating for Christmas. Put these sweet candies in a vase and place them on the porch for decoration. Allow it to hold with garlands and lighten up the vase. This is a sure way of spreading purity everywhere. The simplicity of candies remind of purity of Jesus Christ and the peppermint flavor always ring a bell. Instead of using that same lush green wreath. Try decorating wreaths with cool balls and other little decorating essentials. Hang it on the door, place it above the vintage or hang it over to the cabinets. This is indeed gonna be rejoicing. 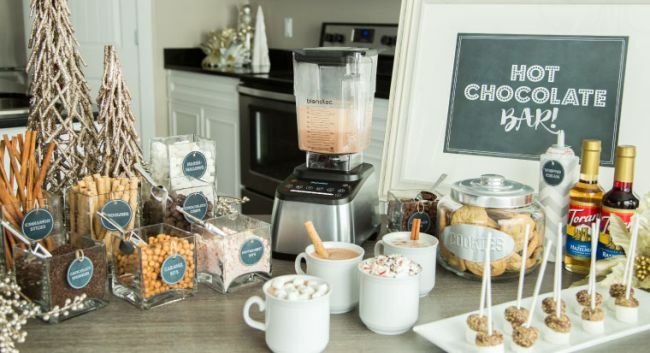 A hot chocolate bar adds the spirit to the season. A variety of snacks, cookies, marshmallows, ingredients, different flavors will create the perfect cup of winter delight. Naming all of the ingredients will also became the center of attraction. You can also place coffee mugs on the chocolate bar table for your guests. The experience with the hot chocolate will be a bang. You guests are going to love them! While decorating your home for Christmas, why ignore the meal table in dining room? 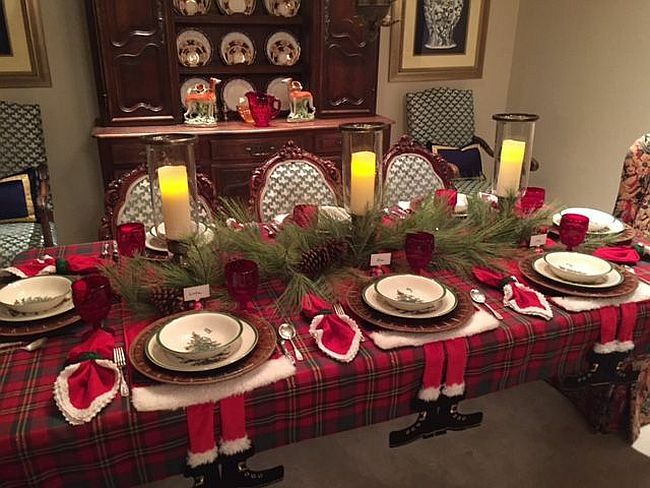 Decoration of table with attractive tartan plaid proves to be the easiest and low-priced for jolly flair. Lay down some fresh green garland, pine cones, red wine glasses, slide handwritten name cards into the sots of some balls and Santa runners to add the perfect theme for a house. All the friends, relatives and family members send the greeting in the form of cards. Now the question arises what to do with these cards? I have an idea of putting these cards onto the old ladder to put on uniqueness to this festive season. Use clothes pins to hang the cards. 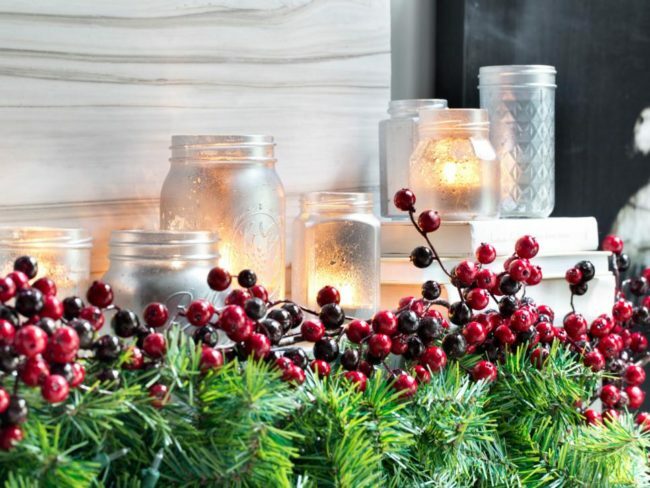 The elegance of mason jars goes well with lights. To add the fog look, first wash the jar with water and colour with the metallic paint and add a mercury glass to evoke the feel of frost. Next to it, add some cherries and green garlands. Nuts are energy-boosting refreshments. How about using them for decoration. 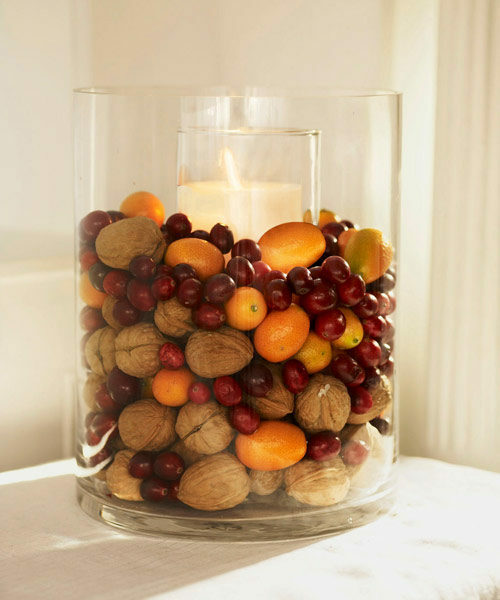 Simply put some seasonal nuts like walnuts, cranberries and Kumquats to add a touch of traditional festivity. 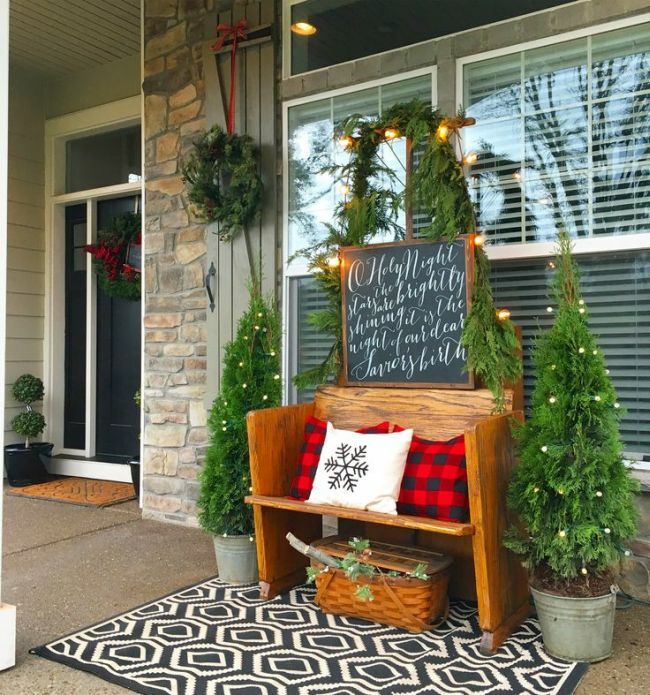 Giving a simple and plain decor touch to the porch to make it look graceful. Placing a cart with some fresh branches under this vintage church. 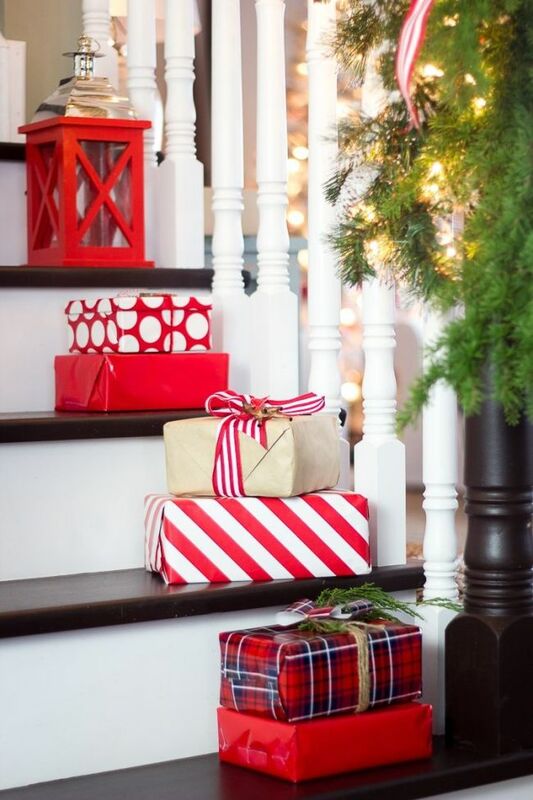 How about decorating your home for Christmas by placing gifts here and there. Wrap all your presents with contrasting roll of paper. This will give your house a different look. Which idea do you find best or how do you imagine your dream Christmas? Do leave your comments below to have your say.